Toot your horn! Blow your bugle! Play that trumpet loud and play it proud. 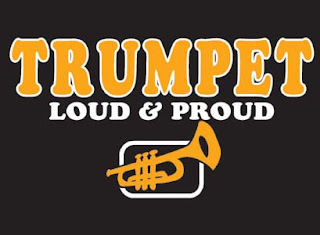 Be the talk of your section and proclaim that you play the trumpet and you don't care who knows it. Grab this eye-popping shirt by clicking on the image above or visiting www.rocksports.net. Only $8!